Nigerian Center Jeleel Akindele (216-C-83, agency: BeoBasket) had a very impressive game in the last round for second-ranked Fuerza Regia, receiving a Interperformances LNBP Player of the Week award for round 30. The 35-year old player had a double-double of 20 points and 19 rebounds, while his team crushed Laguneros (#5, 12-16) with 21-point margin 80-59. Fuerza Regia maintains the 2nd position in their group in Mexican LNBP. They would have been even better if they hadn't lost a few games earlier this season. Fuerza Regia will need more victories to improve their 23-7 record. Akindele turned to be Fuerza Regia's top player in his first season with the team. Former Chicago State University star has very solid stats this year. Akindele is in league's top in points (9th best: 18.7ppg), rebounds (5th best: 9.1rpg) and averages impressive 64.7% FGP. The second best player in last round's games was 29-year old American B.J. West (211-F-89) of Santos. West had a very good evening with a double-double of 26 points and 12 rebounds. 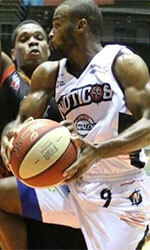 Bad luck as Santos lost that game 86-94 to the higher-ranked Mineros (#1, 23-7). Santos managed to keep the same 6th spot in North. His team is not often considered as one of the league's best with a mere 10-20 record. West is a newcomer at Santos, but is already one of team's top players. 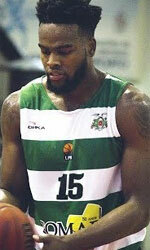 Third on the list of top players last round was American forward Nick Harney (203-F-92) of league's top team Mineros. Harney scored 21 points and grabbed five rebounds. 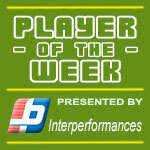 He was a key player of Mineros, leading his team to a 94-86 win against the lower-ranked Santos (#6, 10-20). Mineros confirms their top position in North. Their record at this point is 23 victories and 7 lost games. Harney has a very solid season. In 28 games in Mexico he scored 13.9ppg. He also has 4.7rpg and FGP: 57.5%.